As many of you know, my family and I are expecting baby number three in just a few short weeks. As I take some time off from work and blogging to spend time with my family both before and after my new son’s birth, I am thrilled to share with you some amazing posts written by some very talented bloggers. So please sit back, relax and enjoy this guest post and leave a comment letting us know what you think! Today we have Carrie from Carrie’s Speech Corner sharing some AWESOME activities to build language with one of my son’s FAVORITE books! 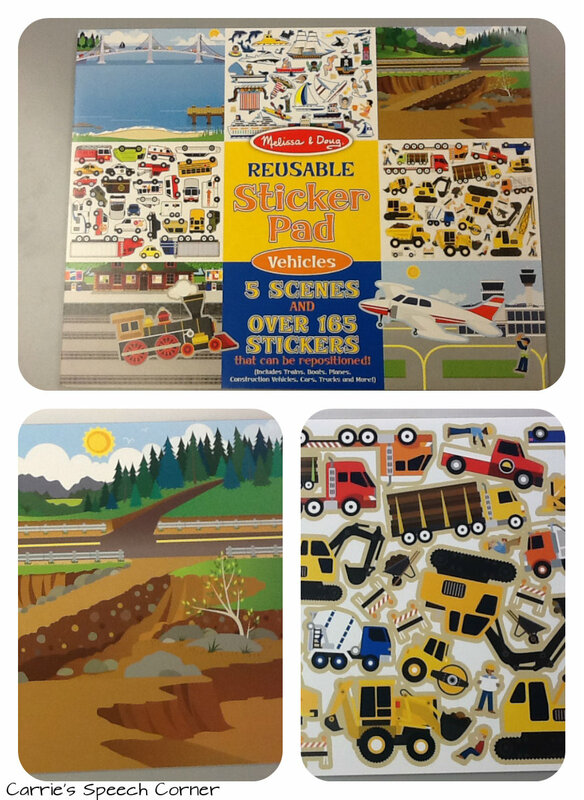 You’ll love this if you have a little one who loves cars/trucks! This post contains affiliate links to Amazon.com for your convenience. I’m so happy to be sharing a guest post today on Playing with Words 365! 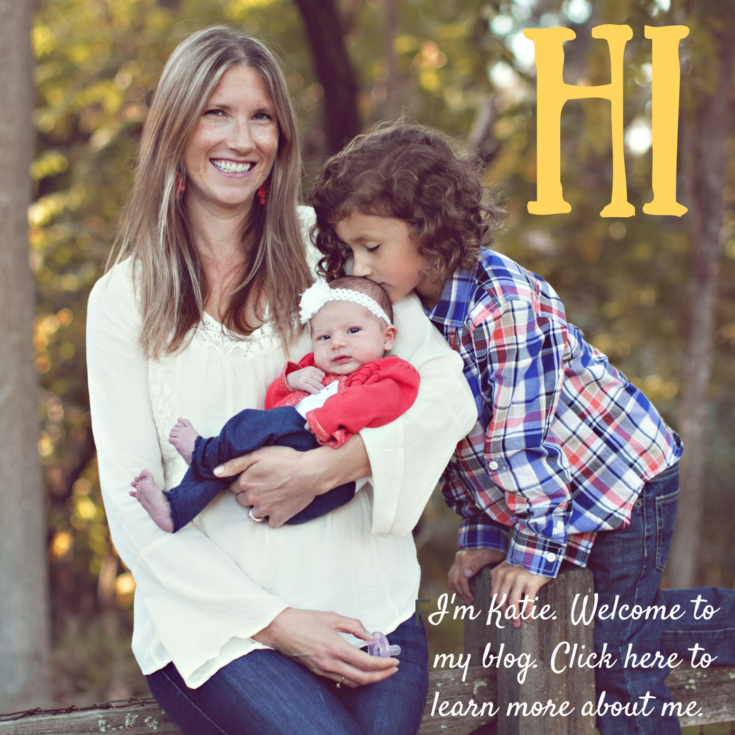 Katie’s blog was a big inspiration to me in starting my own blog and she has proven to be a wealth of information, not only regarding speech and language, but on blogging as well! If you’re not familiar with my blog, Carrie’s Speech Corner, I invite you to head on over and check it out. The most popular feature on the blog is my “Book of the Week.” Each week (give or take), I share one of my favorite books to use in my speech and language therapy sessions and provide activities and/or ideas to accompany the book. Today, I’d like to share one of my favorite books that we read, not just in my therapy room, but in my home! 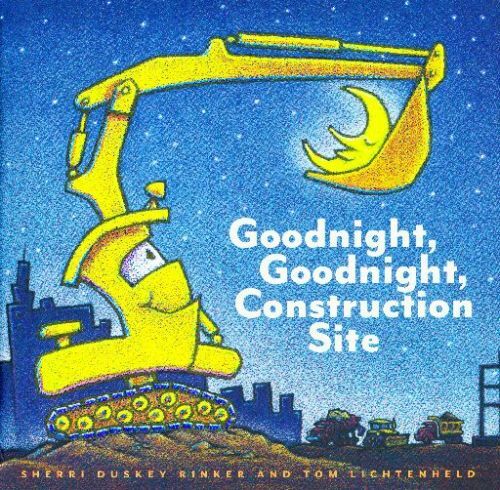 It’s called “Goodnight, Goodnight Construction Site” and was written by Sherri Duskey Rinker and Tom Lichtenheld. He’s not the only little boy who loves this book. Most of my friends who have sons around the same age tell me that their guy loves this book as well! 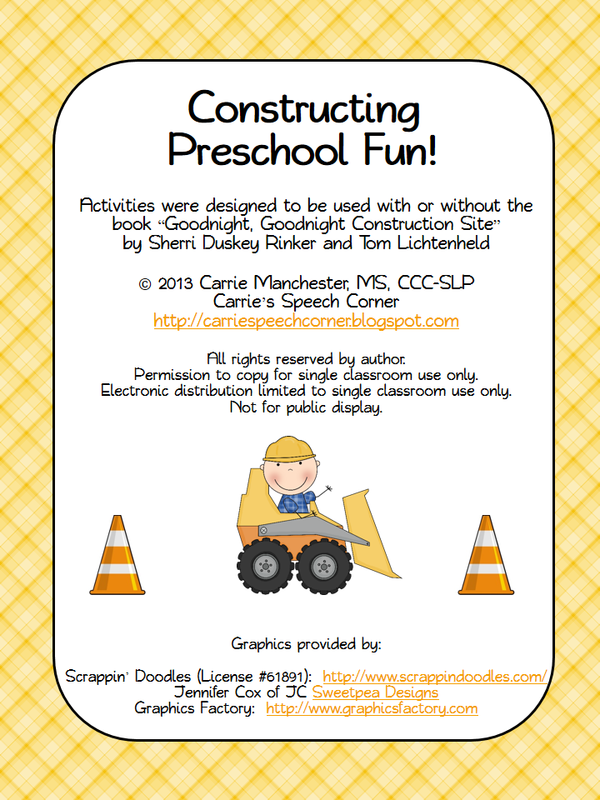 If you’re not familiar with this book, it features five different construction vehicles – Crane Truck, Cement Mixer, Dump Truck, Bulldozer, and Excavator. The setting is a construction site and the story takes place at the end of a busy workday. We get to learn about the function of each vehicle and one by one they are ushered off to rest. 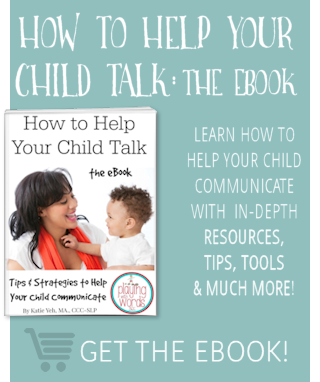 Now that you know a little about the book, let’s look at some ways you can expand on it – at home or in speech/language therapy sessions! Once he got his hands on this book, my little guy wanted to learn more about the trucks. 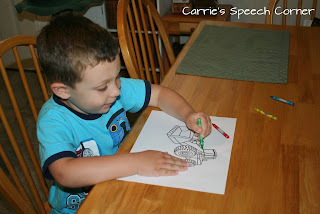 I searched for some clip art so I could create some activities for him and to share with you as well! 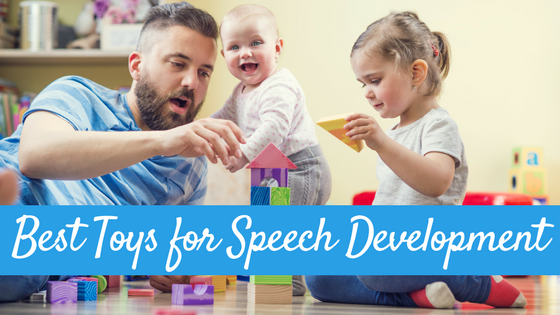 The activities in this packet can be adapted to speech and language therapy, but were designed with basic preschool skills (and family fun) in mind. Side note: I had a hard time finding the exact combination of vehicles from the story for all of the activities, so please excuse if one of your favorites is missing! First up, my son has some toy vehicles that match up (more or less) with the vehicles in the story. I took some photos of his trucks and made flash cards. 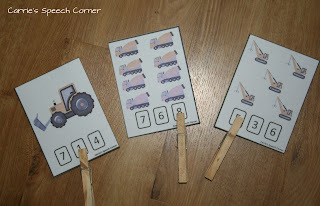 You can use these to teach the words or print two copies and play a Memory type game. 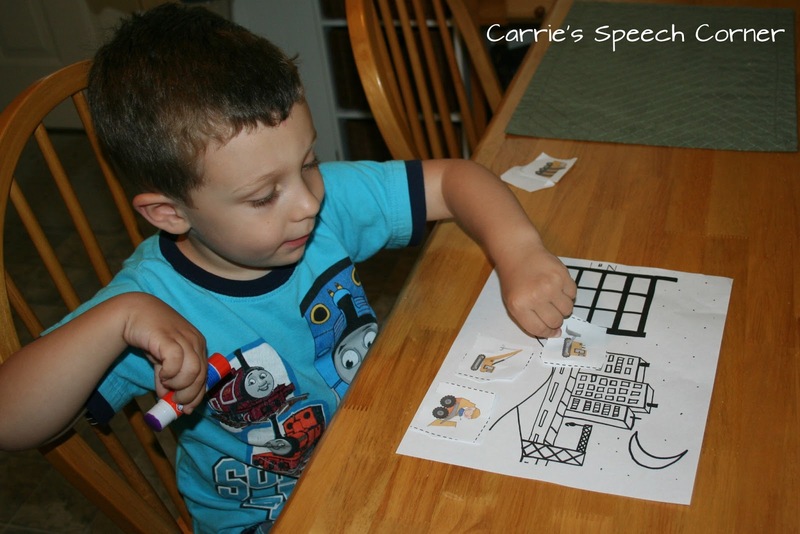 Next, Bingo and Lotto games are a huge hit with preschool and kindergarten age kiddos. 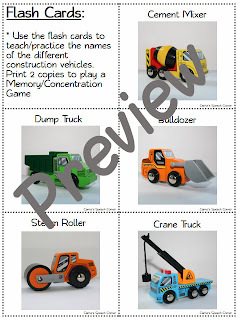 I made a fun construction themed lotto game with the clip art that I found! My son does not have the best fine motor skills, so I wanted to create an activity that would be motivating for him to work on cutting skills. I searched high and low, but couldn’t find any commercially available images of a construction site. So I drew one. Sorry! I’m not the greatest artist on the planet, but I think you and your little ones will understand that this is a construction site! We cut out the trucks and pasted them onto the scene. 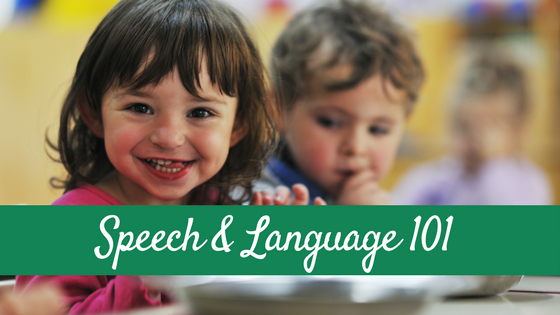 If you child has difficulty comprehending language, you can use this activity for practice in following directions as well. 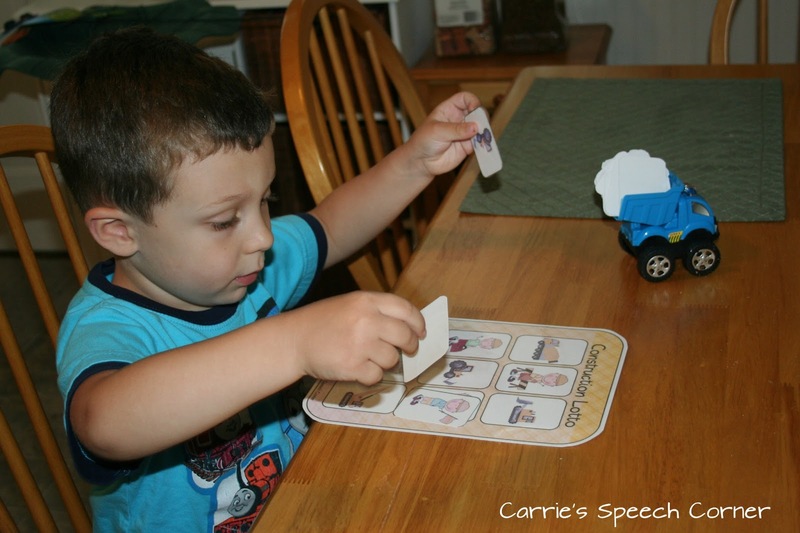 Clip cards are a fun way for children to learn one-to-one correspondence. The child counts the number of objects on the card and then attaches a clothespin to the corresponding numeral printed on the card. As a bonus, manipulating the clothespin will work on fine motor skills! Who doesn’t love playing board games? I know I do! 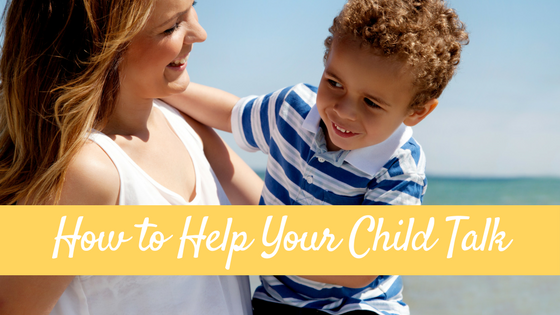 Here’s a fast and simple board game that you can play at home with your little ones or use as a reinforcement activity in your therapy sessions. I have included a spinner that is easy to create with a few office supply products – a paper clip and brass fastener! 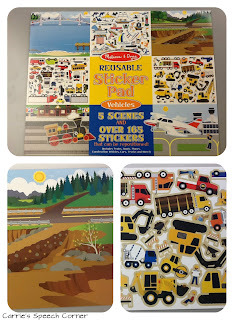 Right around the same time that I purchased “Goodnight, Goodnight Construction Site,” I found the Melissa & Doug Vehicles Reusable Sticker Pad. 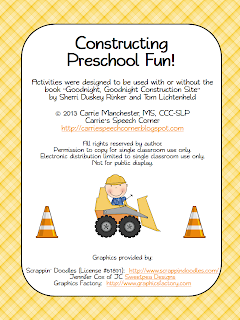 My SLP mind immediately thought “These will be great for following directions and barrier games!” If you can’t tell from the picture, it includes the following scenes: lake, construction site, railroad, and airport (eh-hem: categorization!!!) . I didn’t bring these home, they’re sitting in my therapy room waiting for the fall! My little man has a birthday coming up in the fall, I think he may be getting one of two of these fun toys! I hope you enjoy the activities in the free book companion, which can be found in my Teachers Pay Teachers Store. Lastly, I’d like to say thank you to Katie for letting me stop by and share some of my ideas and materials with you and your readers! Carrie Manchester is an ASHA certified speech and language pathologist and is a Certified Early Intervention Specialist in the state of Massachusetts. 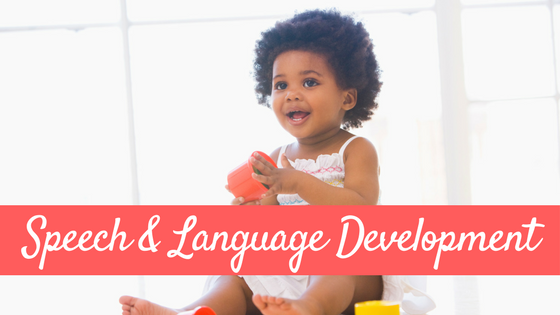 She currently provides speech and language services in a public school setting, working primarily at the early childhood level (preschool and kindergarten). Prior to transitioning to the schools, she has spent many years working in early intervention settings and providing trainings to childcare professionals. 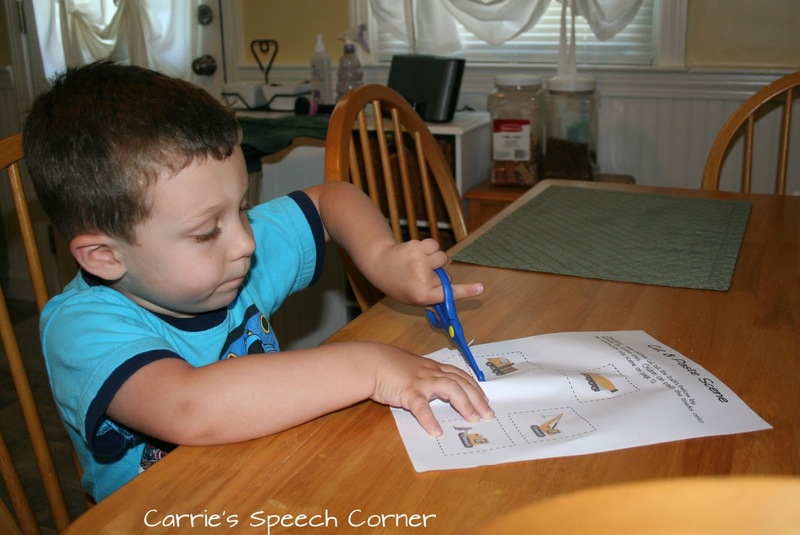 Carrie is the author the speech and language blog: Carrie’s Speech Corner. She can also be found on Facebook and Pinterest. This is great! My son LOVES this book and will start to incorporate Carrie’s neat ideas into some mommy speech therapy / fine motor skill lessons. I know, right?? 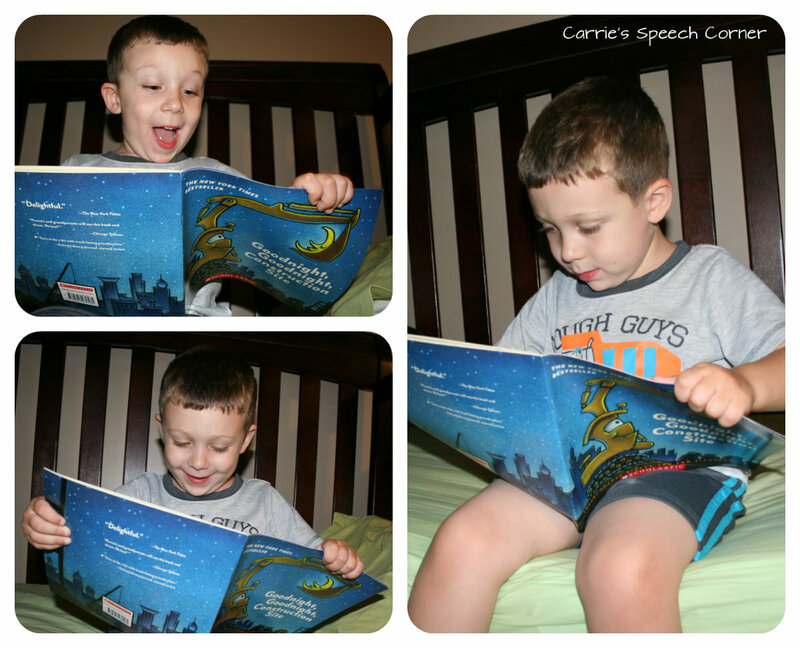 My son LOVES this book too, so I was pretty excited when Carrie mentioned doing this book! ENJOY! Carrie Manchester recently posted..New School Year, New Planner! Awesomely cute activity. Can’t wait to use with my preschoolers.